Enter the mirrored walls to uncover sword fighting, fairy tales and fun! Harrogate International Festivals present a weekend packed with History, Science and Art featuring the UK’s finest entertainers and authors. 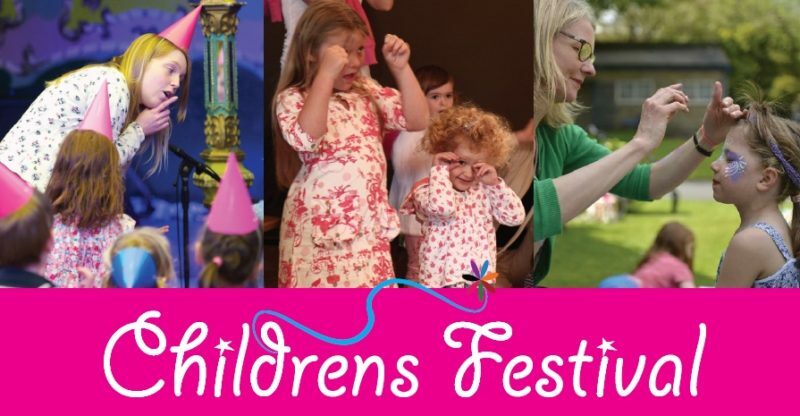 The Children’s Festival takes place in the magical world of the Spiegeltent – Europe’s oldest travelling tent – in Harrogate’s Crescent Gardens on Saturday 10 and Sunday 11 September. Ignite your child’s big imagination with a series of captivating shows, as the Festival features the UK’s most sought after authors, museum experiences and attractions. Bestselling authors include Hilary Robinson with ‘Mixed up Fairytales’. Her picture books on princesses, parties and penguins have sold all around the world. Alan Windram, author of ‘Mac and Bob’, offers interactive drawing and sing-alongs, and Storyteller Mara Menzies invites explorers to join her interactive, rollercoaster adventure across Africa. The ‘Poetry Bloke’, Craig Bradley offers poetry, music, imagination and comedy in a creative workshop. Andy Seed won 2015’s Blue Peter Book Award (Best Book with Facts) for The Silly Book of Side-Splitting Stuff. His ‘Wacky Witty Wordfun’ is stuffed with amazing facts and riddles, with challenges and activities to join in with. ‘Have a Go at Sword School’ offers a swashbuckling workshop for medieval warriors. History’s Maid brings the magic of ‘Viking Sagas’, exploring the gods and giants of the Vikings, re-enacting the myth of Thor and his hammer, and Northern Ballet present a ‘Goldilocks and the Three Bears’ workshop. Seven Stories, the National Centre for Children’s Books, cater to the dinosaur-obsessed with ‘Dino Story Party’, with interactive games, songs and stories for the under 5s. Professor Pumpernickel’s ‘Superdooper Science Show’ promises the greatest show on Earth! Starring exotic chemical compounds, unfathomable physics phenomena and a peppering of jokes.